Filipina Expat | Mommy. Wifey. Happy! Founder of The Wealthy Pinay community! It has been 2 months since I posted something for this blog and I rarely shared anything on any of my social media accounts. You may want to read this post I wrote for The Wealthy Pinay. Anyhoo, I have a long list of posts I would like to share like my Belgrade trip, our Australian trip, the continuation of our Hong Kong trip last year (grabe noh?) and reviews of many restaurants we tried. 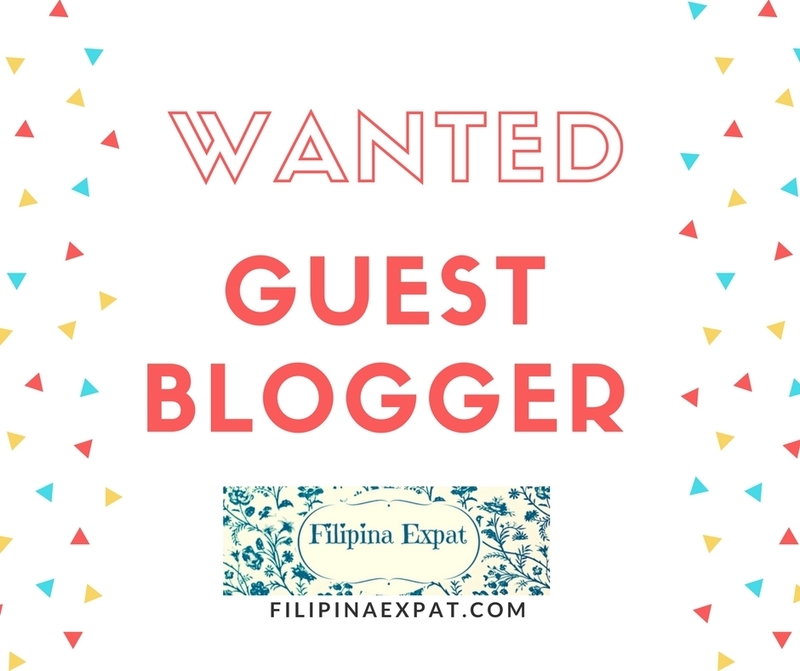 This entry was posted in Musings and tagged filipina expat, filipino expat, Pinoy Blogger, Pinoy in Dubai. My college buddies started a Messenger chat group and it’s a blast! Technology has its disadvantages for sure but perks can’t also be denied. This entry was posted in Musings and tagged Dubai blogger, filipina expat, filipino expat, Pinoy Blogger, Pinoy in Dubai. Wonder what’s with the title? Read on. I am very very very keen to write something for this blog. I’ve been very quiet here for weeks now and totally not happy about it. I’m trying not to beat myself for being an absentee blogger because, you know, I have to focus on other things too (like The Wealthy Pinay). But I’m still trying anyways. Sunday evening – I thought I’ll write about menopause because I have something witty to say about the topic. But I need to eat first. Then I realized I want to read a book after dinner. Monday evening – I started writing about menopause and managed to write few sentences. And then watched the semi-finals of Tawag ng Tanghalan. Today, Tuesday, I added few sentences more. For TWO FREAKING DAYS I only managed to write 2 paragraphs. And the worst part is I don’t know how to continue writing about the topic. I have my period today (TMI!) and it made me think if I’m going to miss my period once it’s gone. I’m far away from getting menopausal although I wonder how I’ll feel once this monthly thing won’t visit me anymore. When Biel was born, we know that she’ll be our last child. So I googled on ways how not to get pregnant and that’s when I learned that menopausal symptoms only starts from age 50 in average. “That’s how long I will take contraceptions?”, so I decided we’ll just do the natural way to avoid having another baby. I can’t even recall why I want to talk about menopause. What am I thinking that Sunday evening? Why did I even think this is an interesting topic? And now I’m stuck with this 2-paragraph draft. I can delete it for sure but it’s like wasting 2 nights of writing. And every paragraph for me these days are important. So please, if you want to guest post here, I will be very thankful. This entry was posted in Musings, OFW, Positivity and tagged Dubai blogger, filipina expat, filipino expat, Pinoy Blogger, Pinoy in Dubai. Ok, not really a secret because I’ve told few people of the plan. This is not set in stone and I don’t have fixed date yet but I’m determined to make it happen soon. This entry was posted in Musings, OFW, Positivity and tagged Dubai blogger, filipina expat, Pinoy Blogger, Pinoy in Dubai. Wanted: Blogger for a day! I have this idea to have guests bloggers on this site but I have been resisting for so long. First, I wanted this to be ‘my blog’ because I think the reason why people read this space is because of me (how narcissist right? LOL). Second… ahmmm… actually there’s no 2nd reason. So basically there’s no other reason except that I just want to hoard all the attention. Which is fine except that I’m neglecting this site because of so many things on my plate right now. Let’s not forget the fact that I have a husband and 2 kids who need attention. And the most important thing to consider is I need 8 hours of sleep a day. Non-negotiable. 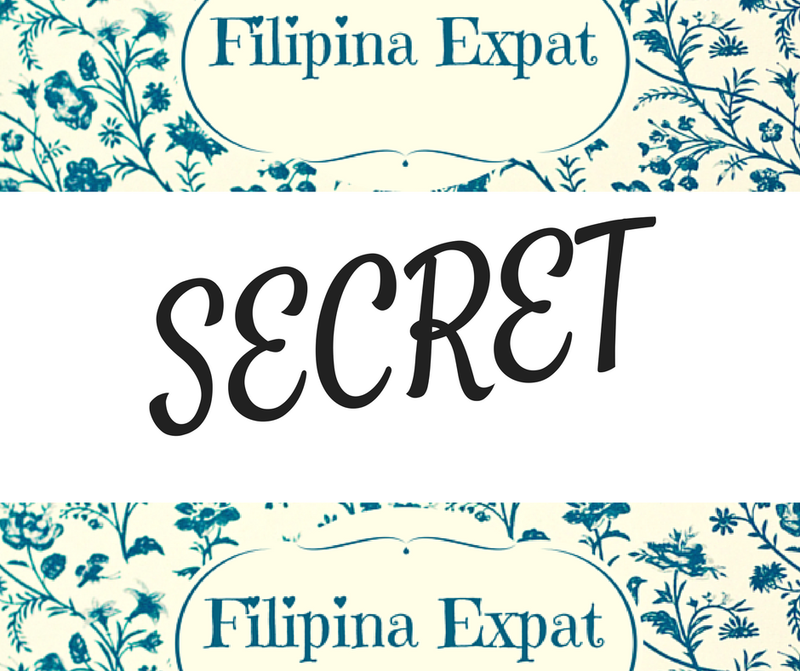 I love Filipina Expat and I love my readers. And I would sacrifice my pride if I know that this is one way on keeping this blog alive. You can be based anywhere in the world. Any topic should be fine except religion and politics. No selling, no violence, nothing that will put me in jail. You can share some parenting tips, your travel adventure, your dining experience. Anything and everything under the sun. But if you are sharing dining reviews, the restaurant has to be in UAE. English should be our main language. Make sure that your grammar is better than me which is not very good anyways so you should be fine. But please don’t use any headache-inducing vocabulary. Just write as if you’re telling a story to a friend. Share some photos to include on your post. It has to be a picture that you own and not grabbed from the internet or someone else. If you prefer then I can mention your social media account handles and your blog name if you’re an existing blogger. You can share as many blog posts as you want! If you have been thinking of starting a blog, or has this itch to share something to fellow Filipinas then this is your time to do it. Because as I always say, if not now then when? I posted this on The Wealthy Pinay site and I want to share it with you here. Another year, another chance, another opportunity. Most of us welcome this year with full of hope and positivity. Because why not, right? It’s like we are given the chance to start anew and it feels like we are starting from scratch. All the frustrations and pain that the previous year brought us can be forgotten. All the things that didn’t materialized last year might happen this year. In a way that’s true! Unless you are dead, the chance that you can do something differently in your future is very probable. And that’s the good thing about welcoming new year. But I hope you just don’t end up wishing because I know you know that it doesn’t end there. Writing new year resolutions is not enough. Listing down your goals to achieve this year won’t do any good if you don’t follow it up with actions, and heaps of determination. But I think you already know that. Because just like me you have done resolutions before and most of them fail. And you are more frustrated with yourself more than anything else because you know that if only you were more courageous, more disciplined, more consistent then your goals could have happened. You are self aware. You know what needs to be done but you lack the will to pursue them. I’m here to give you some tips on how you can turn your new year resolutions to reality. This entry was posted in Positivity and tagged Dubai blogger, filipina expat, filipino expat, Pinoy Blogger, Pinoy in Dubai. It’s been a while since I posted something here. And I honestly feel bad. As you might already know I have another project that I am currently busy with and we have launched our money mindset course. There are already few fellow Wealthy Pinay registrants and you can’t imagine how excited I am to share everything and anything I know and how a quantum leap of mindset changed and continue to change my life for the better. But I still feel bad for not writing here often. I can’t guarantee that I will write often but I promise to try. In 2015, I started writing on my Faith notebook – a journal where I write all my deepest thoughts, frustrations, desires, fears, gratitude and anything and everything I feel on that moment. I usually write when I am overflowing with emotions. I sometimes write every month, every few months or when things are getting exciting or frustrating then I write almost everyday. 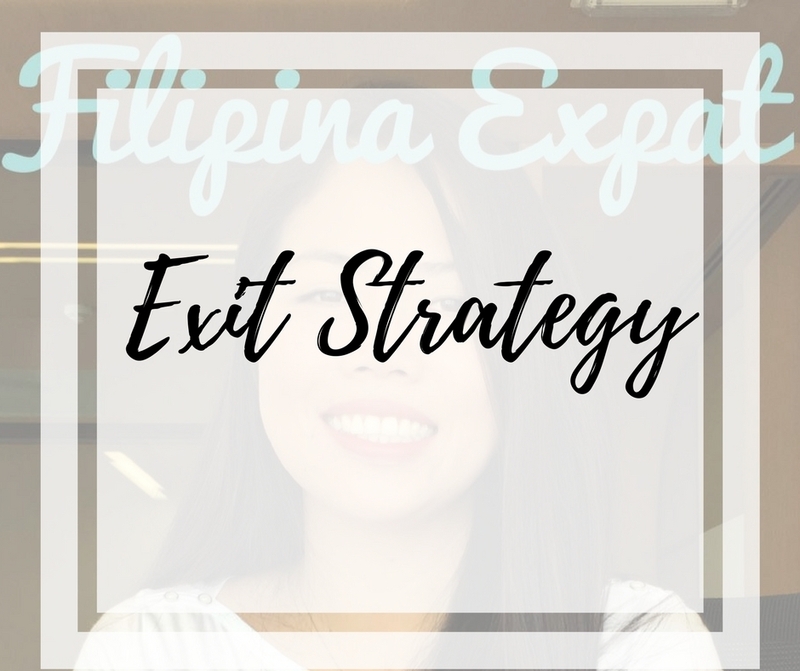 This entry was posted in Positivity and tagged filipina expat, filipino expat, Pinoy Blogger, Pinoy in Dubai. And the Wealthy Pinay Bootcamp Registration is finally open! In late 2014 I started blogging because of depression. Writing became an outlet to release my negative thoughts and self-talk. Although I was thinking then who am I to blog? I’m not a writer, my grammar isn’t perfect, I ain’t witty but I continue writing anyway. Then in 2015, I had to urge to create another blog that will focused on my life as an OFW. And that is when Filipina Expat came to life. It’s the same time that I start reading about business and dream of living a financial independent life. Fast forward today, I am launching The Wealthy Pinay Bootcamp. This is totally major for me. Unlike the nail salon I set up this year, The Wealthy Pinay is more personal. Here I am telling the world my beliefs. I am exposing myself to judgment. The nail salon is a normal business but the bootcamp is a radical thinking project that might not be understood by everyone. But this is my gut telling me that I need to do this. And I’m listening to my intuition. If you are a follower of this blog, you know I am a firm advocate of living our ideal life. I want everyone to just go for it. The Wealthy Pinay Bootcamp is a money mindset online course where I will teach you how you change and improve your life just by re-wiring your mind to dream bigger. If you want to return to the Philippines to be with your kids but thinking it’s impossible as of the moment, if you want to set up a business but don’t know how, if you want to improve your relationships, if you want to get out of debt, if you want to have a free life – then this course is for you. Just within 2 years of having a different mindset brought so much change in my life. The experiences I gained, the relationships I nourished, the money I generated, the people I have helped are more than the accumulation of what I had been thriving to have for last 14 years. All our goals can be achieved – I promise you. Some might take longer than what we expect but our dreams can be our reality as long as we maintain the correct belief, mindset and attitude. And this is what you’ll learn from the bootcamp. Join me in this journey. I am offering the bootcamp for only Php 499 only until Dec 23. Way cheaper than a buffet meal. Invest in yourself and take control of your journey. We have a 5-day refund policy, no questions asked. If after starting the bootcamp and you feel that the course is not for you then just drop me a message and you will be refunded your money. That’s how confident I am on the value that this course will bring to your life. Remember: You Deserve To Live The Life You Have Imagined! This entry was posted in Positivity and tagged filipina expat, Pinoy Blogger, Pinoy in Dubai.